Rajeev Ravi’s Kammattipaadam all Kerala gross crossed Rs. 15.10 Cr. The film stars Dulquer Salman, Vinayakan, Manikandan R Achari, Vinay Forrt, Shine Tom Chacko. The film was selected at Fantastic Fest, the largest genre film festival in the U.S. Original DVD was released a week ago. Four hour Director’s Cut version will be releasing soon. The movie made of a budget Rs. 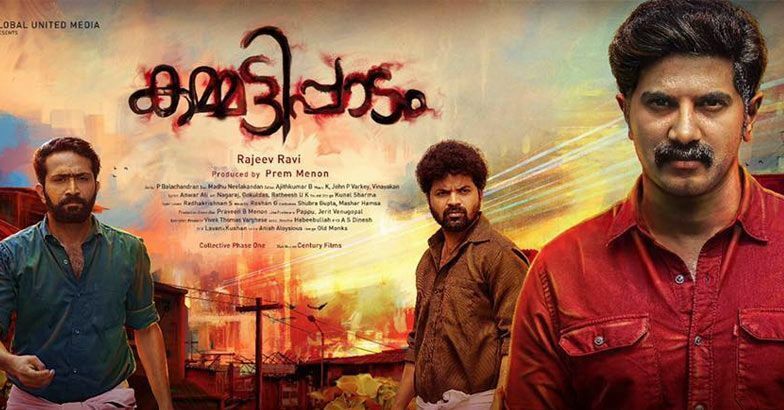 7.80 Cr, centers on Kammatipaadam, a slum locality in Ernakulam, Kerala.